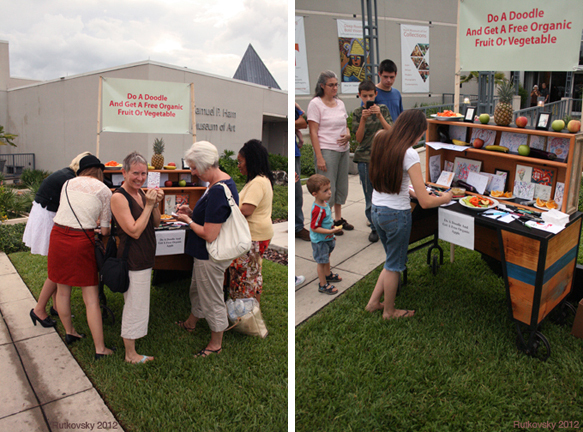 Paul Rutkovsky and the Doodle Cart were invited to perform at the Harn Museum in Gainesville, Florida during an “open house” event on Friday, July 13, 2012. 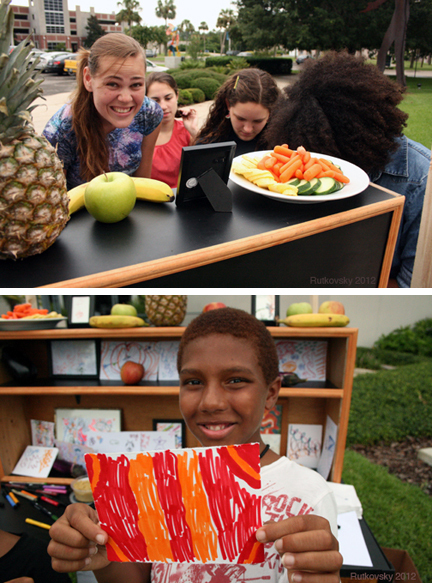 Over 400 people attended the event, including many enthusiastic doodlers earnestly making marks and dawdling around the Doodle Cart waiting for a free organic fruit or vegetable. A very simple creative effort resulted in a gift of a non-pesticide, healthy and tasty fruit or vegetable. The fruits and vegetables were partially donated by the Citizens Food Co-Op in Gainesville.